Idles about, chews grass, and will rarely spawn a wolf that kills and eats the lamb. 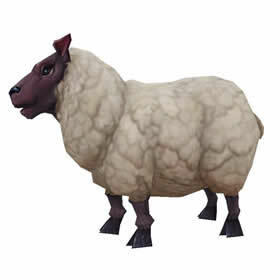 This pet will occasionally spawn an Elwynn Wolf that charges the lamb to kill and eat it, and then falls asleep. 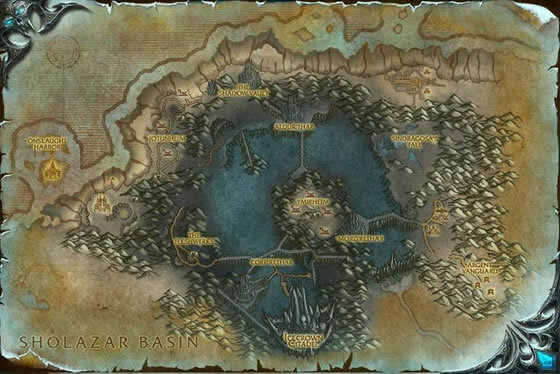 Players can participate in the Argent Tournament, a permanent event in northeastern Icecrown, to earn Champion's Seals. A representative of each race sells a race-specific pet. Alliance characters may purchase this and other alliance-based Argent Tournament pets once they have successfully "championed" that race's cause through various quests. Horde characters may purchase this pet through a neutral auction house and on occasion through their own auction house. Patiently chew some grass. On the next round, you will deal 492 Critter damage in addition to your next attack. some of you need to man up...this boring sheep getting eat by the wolf makes it an awesome pet to own! I really wish Blizz would just remove the wolf altogether. The lamb is so cute, but it really bums me out when he gets killed. I never take him out, but would if this did not happen. I don't know who thought that would be a good idea, or funny, but it's not. PLEASE, Blizz, remove the wolf. There should be an option to turn off anything that will despawn your pet, for pets like this and the turkey. That way both people who like it and people who don't can be happy. I don't know why so many people find the never ending lamb luch Mr. Wolfie gets so sad/tasteless. I for one (being horde thus having to pay about 566g on my sever)Always skipped buying this ally pet thinking "Meh It's just a sheep" But as soon as I found out about What this death bound little lamb did, I had to have him. Nothing funnier than seeing the never ending cycle of life! So since I totally never saw anything about the wolf and never had my sheep summoned that long, a few minutes ago I started yelling at a hunter friend in complete disbelief as I thought I saw his wolf-pet eat it and then calmly take a nap. The coolest thing about this pet is that its animation is so unlike any other pet animation. The only problem being that I cry every time the lamb meets its demise at the hands of the wolvar. I've discovered an environment where your beloved lamb is completely safe from that dastardly wolf: underwater! That nasty ol' wolf will spawn on the bottom of whatever body of water you're currently swimming in and, if your dear little lamb is far enough from the bottom, he'll immediately give up, lay down, and go to sleep. Unlike it's Warcraft 3 counterpart, the Elwynn Lamb does not explode if you continuously click on it. If you mount up and keep moving, you can get a whole bunch of wolves after your lamb. Let me tell you about the Elwynn Lamb. Do not summon this pet, for it will abandon you. This pet will constantly die a violent death and you can do nothing but watch. If you have abandonment issues, this is not a good pet to have out! Besides, it is probably less cruel to keep it safe in your pet bar than to bring it out into the world with all of those hungry wolves running around. Unlike the polymorphed variety, trueborn sheep can be quite scary.